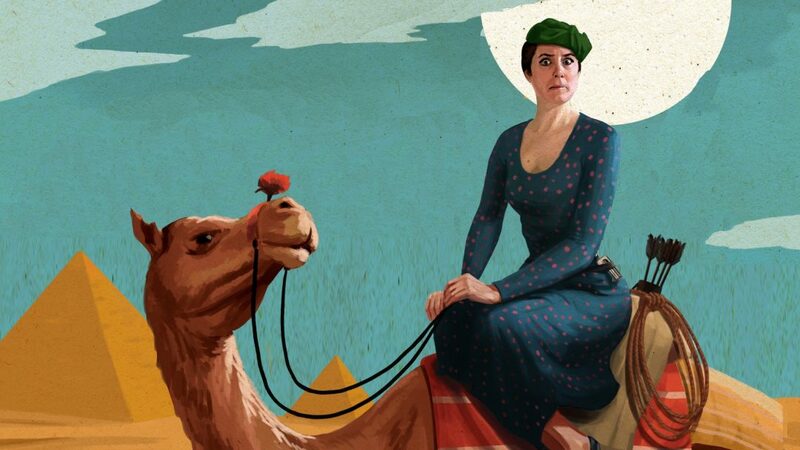 Following 2018’s sell-out smash hit Crimes Under the Sun, multi-award-winning theatre company, New Old Friends, return with another hilariously inventive comedy thriller, Crimes on the Nile. It’s 1935 and celebrated Belgian detective extraordinaire, Artemis Arinae, is enjoying a cruise along the Nile – when tragedy strikes again. All passengers and staff are suspects, and the body count is growing – will Arinae’s little grey cells identify the murderer in time?! A cast of just four bring to life lascivious lawyers, crocked captains, fastidious physicians, ardently amorous authors, feuding femme fatales, plodding paramours, colossal kids, friendly first mates and attractive Americans, who all get swept along the driving narrative and inventive set-pieces. New Old Friends are an award-winning theatre company dedicated to creating original comedy theatre, founded in 2008 and run by husband and wife team Feargus Woods Dunlop and Heather Westwell. Previous shows include Crimes Against Christmas, Crimes on the Christmas Express, and Crimes under the Sun. In 2014 and 2015, New Old Friends took their adaptation of Anthony Horowitz’s The Falcon’s Malteser on two national tours and to the Edinburgh Festival Fringe, enjoying sell-out shows at the Pleasance and great critical acclaim. After a chance conversation via Twitter, the company met Lichfield Garrick’s former artistic director Tim Ford and the opportunity for the Crimes shows began. Crimes on the Nile follows hot on the heels of Crimes of the Christmas Pudding which ran all winter at the Lichfield Garrick.